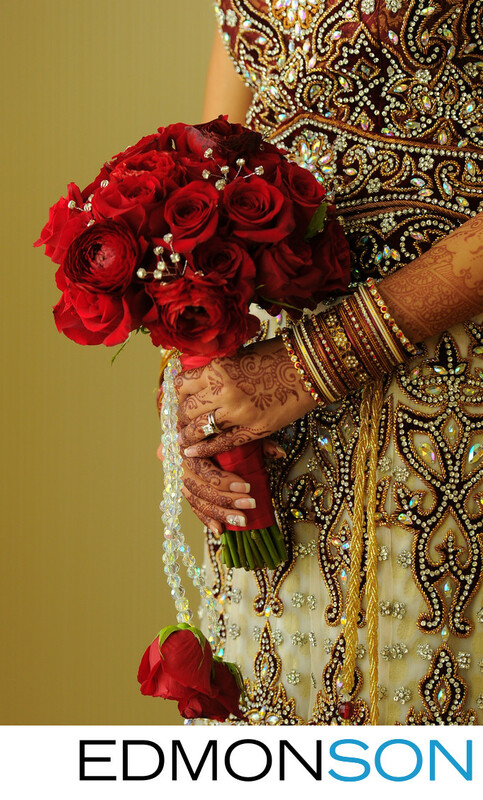 Bride holds her red rose bouquet before ceremony. The location for this wedding is the Ritz-Carlton, Dallas. 1/320; f/3.5; ISO 800; 98.0 mm.